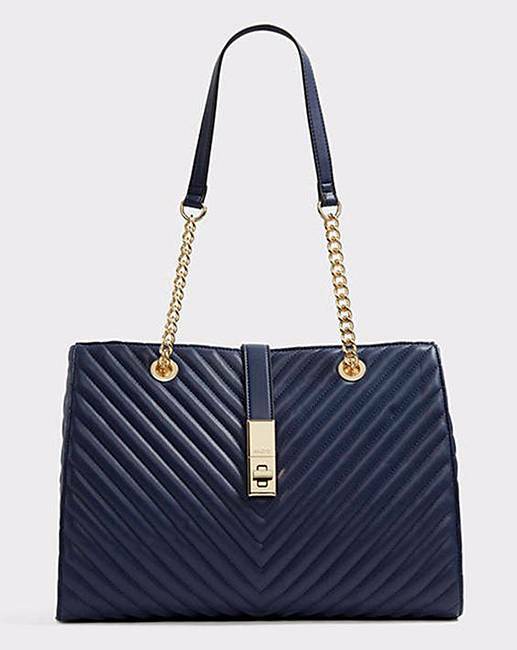 Crafted with chevron quliting, this large shopper features a sleek turn lock closure and chain straps. Room for all your essentials whether you're commuting or chilling. Tote on in style.